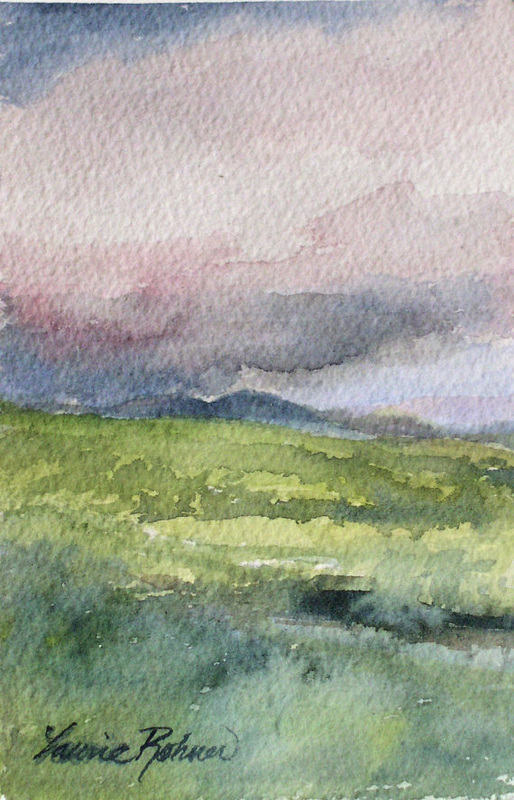 SOLD Summer Vermont storm landscape watercolor nature art original painting is titled Storm Breaks by Laurie Rohner. 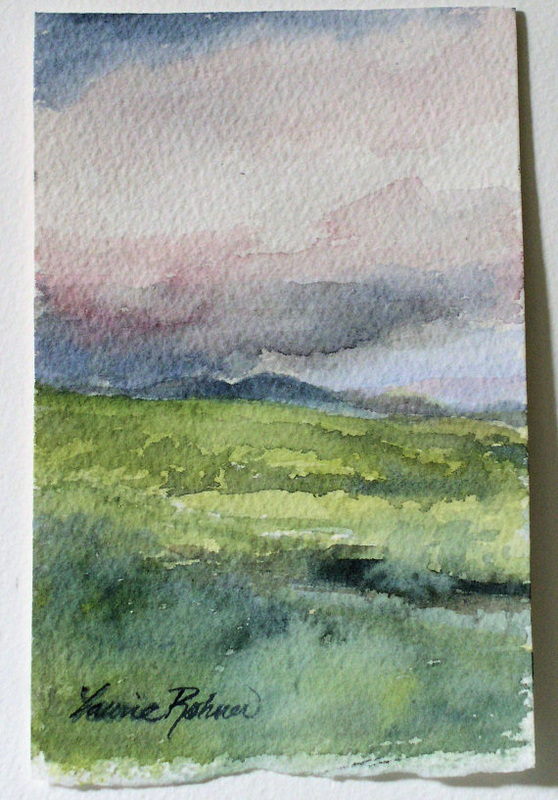 The fields are lush green from the spring cool air but summer has come to the mountains in Vermont and a storm breaks in the distant. 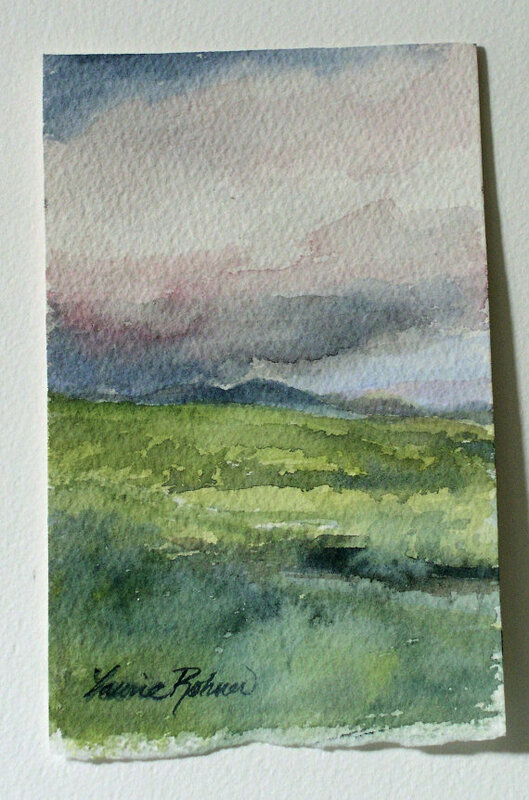 Palette: blues, pinks, lavenders, navy blue, grays, brown, green, blue green. Mount it in a frame to add a bit of sparkle to your walls, artwork for farmhouse, cottage chic and loft decor.